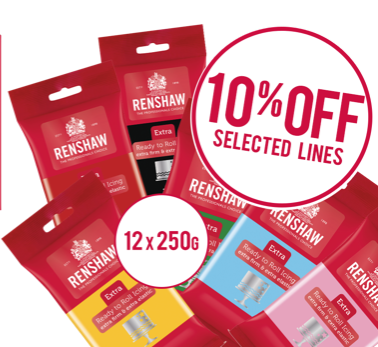 f you are creating a stunning wedding cake or a beautiful birthday cake, our Renshaw sugar paste offer this April of, 10% off on all colours and sizes is a real winner. This entry was posted in Birthday Cakes, birthday cakes solihull, Wedding Cakes, Wedding Cakes Solihull and tagged Birthday Cakes, birthday cakes solihull, cake decorating supplies shop solihull, renshaw sugarpaste icing, wedding cakes, wedding cakes solihull by Sugarbliss. Bookmark the permalink.